The past few weeks I have been working hard to develop my skills in watercolor. As mentioned in a previous post art does not come naturally to me. 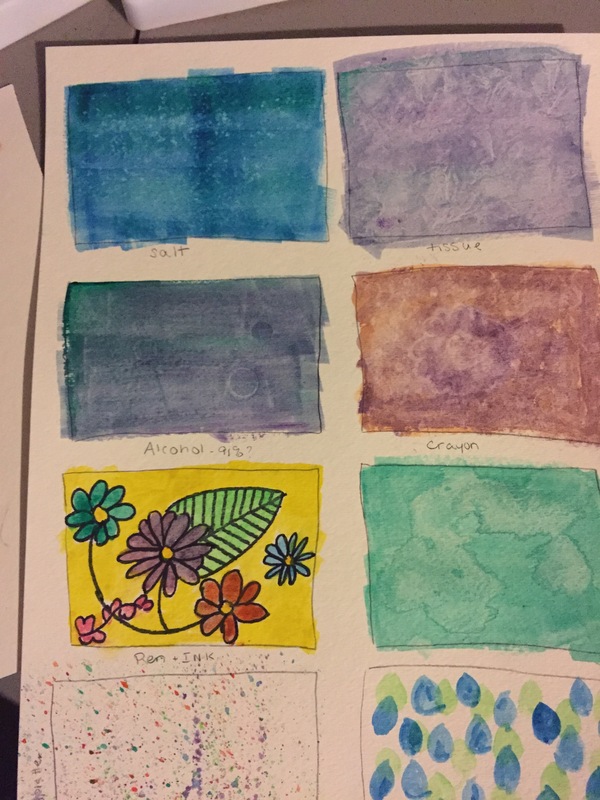 I didn’t realize how many dimensions there are to watercolor until I began working on my project. I started with the basics, which brushes I needed and how to set up my palette and moved on from there. I have been working on two skills: mixing colors and using the right amount of water. Mixing colors is challenging because it is hard for me to picture how colors will work together. I wanted to start by practicing the technique and did not spend time thinking about color wheels since I will be using videos that instruct me on which colors to mix. 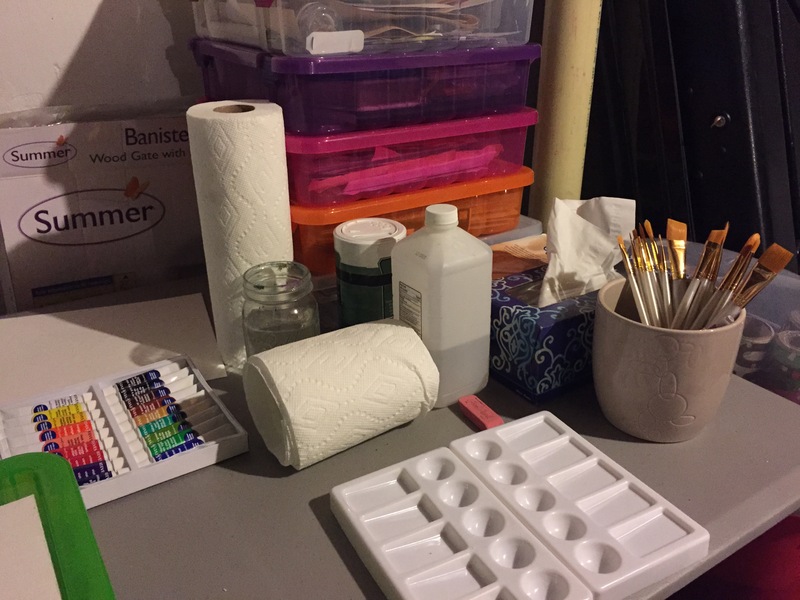 I visited watercolor painting and projects and read about the process of mixing colors. I found this helpful for creating puddles but it did not give me the look I wanted. I watched several other videos and felt Mixing Colors and Avoiding Mud was the most helpful. It gave me specific tips about how to avoid muddy colors and the steps were clear. I was still having trouble anticipating how my mixture would turn out on paper so I practiced a lot. It is hard to know how much paint to load, how much water to use and to anticipate what it will look like, I tend to be a bit uptight but realized I have to let this tendency go a bit. I also worked at mastering other techniques. I found a great post on Pinterest that showed me 8 different techniques and played around with them. The directions were clear and precise. They forced me to work with a variety of methods at one time which took me away from a step by step format I am most comfortable with, and pushed me to think about the relationship between different parts. I can definitely see areas of improvement, but think they turned out nice. 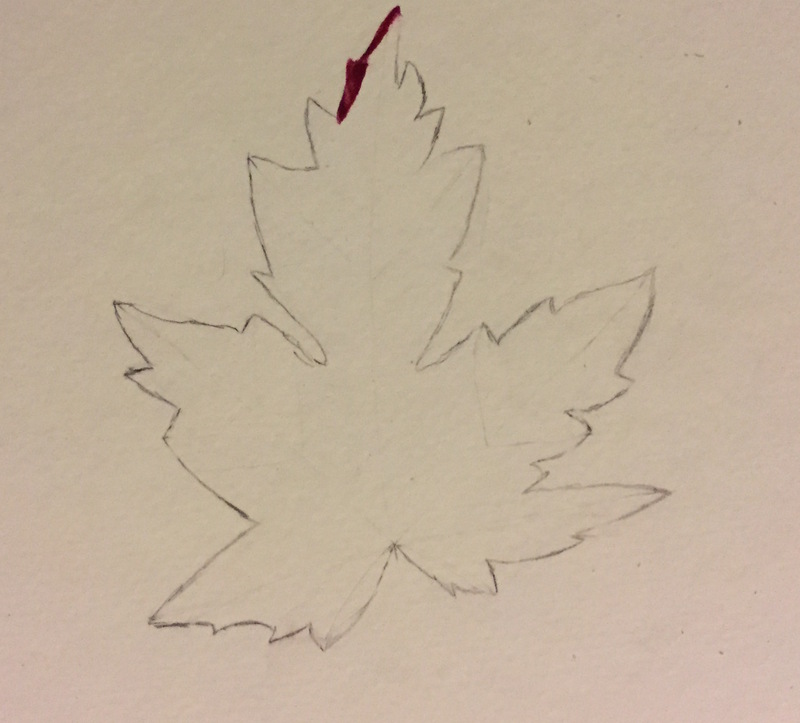 Sitting down to paint my first picture I ran into an obstacle, drawing my leaf! Luckily wikihow offered me a simple, step by step set of instructions that allowed me to create a nice frame for my picture. The directions had great visuals which set me up nicely to paint. I loaded my instructional video and began to mix my first colors. As I went it was easy to see how challenging the task actually was. 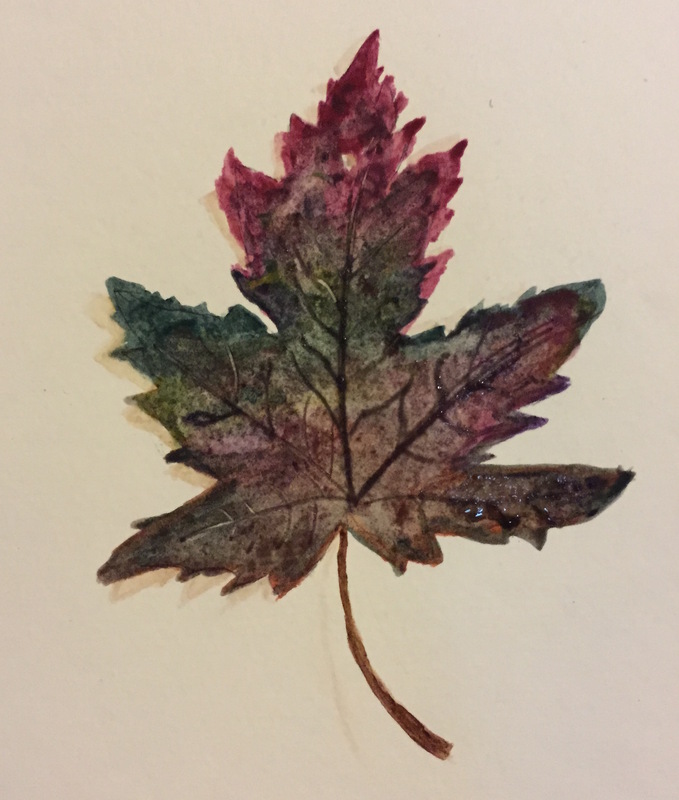 I had to focus on blending the colors on my paper, making sure I was using just enough water to keep my picture wet but not so much it would run, and keeping my lines neat. While working through the painting I went back several times to each section, remixing and touching up colors. I used several techniques I had practiced and tried to blend well. My picture turned out nice but I need to spend a lot more time practicing getting the right amount of water in my well and on my paper. I tend to be very analytical and look for specific answers, I like to know exactly how much of something should be used and would prefer a precise formula. Watercolor painting really stretches me because it forces me to be more flexible about my learning process. In order to be good there is an element of thinking as you go that must occur.I tend to learn best in a linear step by step fashion so this is a challenge. I will continue to practice with how much water to use and try to develop my own methods for this.